John (Jackie) Sheldon was born in Clay Cross, Derbyshire, in 1887. He played for Nuneaton Town before joining Manchester United in November 1909. A small and elusive outside-right, Ernest Mangnall had brought him to the club to cover for the great Billy Meredith. As a result, he only played 26 first team games before being transferred to Liverpool in November 1913. Sheldon had a successful first season at Anfield and appeared in the FA Cup Final against Burnley in April 1914. Unfortunately, Liverpool lost 1-0. On 2nd April, 1915, Sheldon played in the side that was beaten 2-0 by Manchester United. 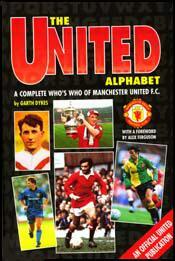 Afterwards, bookmakers claimed that they had taken a great deal of money on the 7-1 odds offered on a 2-0 United victory. They suspected that the game had been fixed and pointed out that late in the game, Jackie Sheldon, had missed a penalty. The bookmakers decided not to pay out on the result and offered a £50 reward for information that would unmask the conspirators. Sheldon was found guilty of this offence and was banned for playing professional football for life. Three other Liverpool players: Tom Fairfoul, Tommy Miller and Bob Pursell were also banned. The same sentence was imposed on three Manchester United players: Enoch West, Sandy Turnbull and Arthur Whalley. An eighth player, Laurence Cook, who played for Stockport County, was also convicted of being a member of the betting ring. It was suggested that if the men joined the armed forces during the First World War their punishment would be rescinded. Jackie Sheldon did this and in 1919 resumed his career at Liverpool. Jackie Sheldon was badly injured in 1922 and was forced to give up playing football. During his time at the club he had scored 20 goals in 147 games. Jackie Sheldon died in Manchester on 19th March 1941.